What is Mont St Michel? Mont St Michel, on the border of Normandy and Brittany, is one of the most iconic (and probably most photographed) sights in France. Rising majestically out of the water, the stunning Mont and its Gothic-style Benedictine Abbey creates a rather spectacular scene. Keep your eyes peeled for it on the TV on Saturday (11 July 2015) as the cyclists in the Tour de France go whizzing past. There’s bound to be some stunning aerial shots of the landmark! 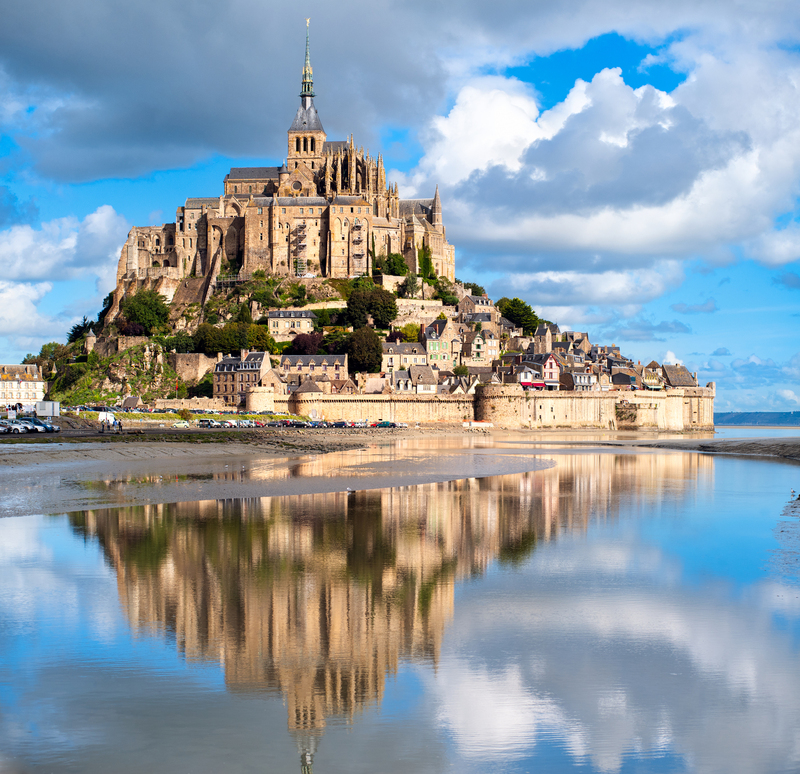 For Tour de France fans, the Mont St Michel will be a familiar sight again next year – you’ll be seeing it when the famous race comes to town in 2016 for ‘Le Grand Depart’. Mont St Michel is home to around 42 people and some cafés, restaurants and shops. So while you may not come across many people that live there, rest assured that you won’t feel lonely. In 2014, over 3 million people made the journey over to the Mont. The village around the Abbey is a fascinating place to explore with the “Grande Rue” being the main street and home to the shops and museums. Venture off the Grande Rue and you’ll find a maze of passages and alleyways to explore. For fantastic views of the Bay and the fascinating twice daily tidal changes, the town’s walls are the place to be. You can wander along and take in the marvel of the stunning surroundings. To see Mont St Michel in a different light then pop by anytime between dusk and midnight to see it fully lit up. It’s look truly spectacular!